How fitting. The modern necktie is descended from the neckerchief/ scarf given to Napoleon’s troopers. This served to identify them and allow them to collect various perquisites from the populace. The epaulets and cut of the jacket have a military flair. Absolutely loving the pop of pink around his neck! Perfect touch. Nice way to wear a scarf! Love the pink scarf around the neck! Very elegant touch! Love this guy, great shot! For a split second there, I thought this was The Most Interesting Man in the World. I seriously love this man. Makes my day anytime a pic is posted of Robert Rabensteiner and the surprising elements of his incredible style. I´m too always looking forward to see a new picture of Robert Rabensteiner´s sophisticated, relaxed and always inspiring looks. And to me – although I do not know this man and will probably never meet him – he has such an optimistic aura. So thank you, Scott, for making my day too. 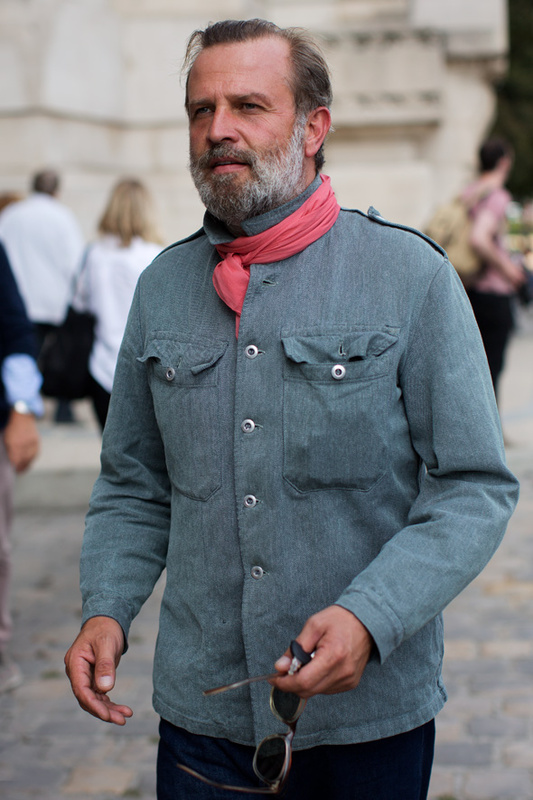 I like the jacket and that way to wear the scarf but I have to say that he looks like Garibaldi (just a little bit)! Can he adopt me as my grandpa??! 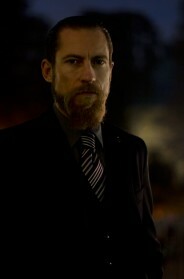 Another handsome European gent – Sart, you do have a talent for tracking them down. Great look, pulled off like a true Parisian. I have this jacket! This is a Swiss military work jacket (probably vintage). Looks like I need to press mine to get it this pristine looking.